Buying a new car is an exciting process. It’s the next step that most people do not get to excited about- securing a car loan or lease. Whether it’s the stereotypical and boring accountants or the complicated paperwork, most drivers find this process difficult and stressful. 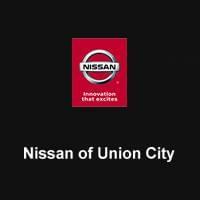 At Nissan South of Union City, we want to make the financing process for the drivers of the Union City, Fairburn, Jonesboro, and Fayetteville an easy and stress free process. When dealing with the finance department at our dealership, you do not have to dread auto financing because our staff is friendly and will make sure that you understand your loan and lease terms. For the drivers in the Union City area, Nissan South of Union City is best place to go for personalized finance options. No matter if you are trying to lease a new Nissan or secure a used car loan, our finance team will help you to get the best financing available in the Union City area. At Nissan South in Union City, we understand that some of our customer may have less than perfect credit, which is why our Union City Nissan Dealership offers credit assistance programs designed to help even our most credit-challenged Georgie customers get approved. Maybe you’ve got bad credit or no credit at all, or you’ve had had a home go into foreclosure of had to file for bankruptcy. If your credit history is less than perfect, then the credit assistance programs available through our Nissan finance department might be exactly what’s needed to get approved for your next car, truck, SUV or van. We don’t believe that any of our customers should be disqualified from obtaining a quality vehicle because of past events that are affecting their credit score, so we make sure that all of our Georgia customers are able to take advantage of our credit assistance programs. The financial experts are here to help you purchase the car you need! If you want to learn more about how our staff at Nissan South of Union City can help you drive home to Union City Fairburn, Jonesboro, and Fayetteville without breaking the bank, you can call us or come by our new and used Nissan dealership. Feel free to get pre-approved from the comfort of your home online in seconds with our easy online pre-approval form! Our dealership is located at 4080 Jonesboro Road in Union City, and we are eager to help you finance your newest vehicle! The Nissan of Union City loan process can help you find the best interest rate for your next vehicle purchase.Try our FREE credit application today! Due to our special arrangements with local and national lenders, we can help you get the new or used vehicle you deserve. Whether your past credit is near perfect or not so perfect, we can help!Complete our FREE credit application and our team of finance professionals will begin working for you. We have hundreds of Nissan vehicles currently available for immediate delivery. Once the application is completed, the Nissan South Union City finance team will put together a loan package that is tailored specifically for you.